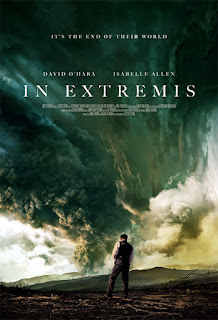 Steve Stone's (Entity, Schism) third feature, the supernatural thriller "In Extremis" will be receiving its world premiere Saturday the 17th June at the East End film festival, this Saturday, 17th June. Isolated without power or phones this loving family descends into a nightmare of terror, violence and visions that threaten their very existence. In the confusion of past and present, Alex and his family have to face the real nature of the events – are they real or imagined? What if every parent’s nightmare is happening to them? Starring David O'Hara (Braveheart, The Departed, Luther) and Isabelle Allen, whose face took to the spotlight when she took on the role of young Cosette in 2012's big screen adaptation of Les Misérables, "In Extremis" is a dark tale of a toxic world. For more information and to buy tickets, visit the End End Festival Website.